8Rental Company provides a car rental with driver. A professional driver with many years of experience will take you to any corner of the city. All chauffeur cars are equipped to the highest standard which allows you to enjoy your ride. Our fleet offers only top brand cars. Comfort, Safety and Quality - this is what has made these vehicles the best in their classes. Choose an appropriate vehicle class for you. Selecting 8Rental chauffeur service, you will be provided with affordable rates, professional drivers, and quality vehicles. Depending on your budget, there are different offers from economy to executive class cars. With us, driving along UK's roads will be pleasant and memorable. Rent a car with driver in most popular UK cities including London, Cardiff, Edinburgh, Manchester, Liverpool, Glasgow, etc. on most favorable conditions. 8Rental suggests booking a car and exploring all the points of interest in complete comfort. All the sights and hallmarks of England, Wales, Scotland and Northern Ireland will be at your disposal! Hiring a coach with a professional driver, you can visit and admire St. Jame's Park, London Eye, St. Paul's Cathedral, Madame Tussaud's Museum, Alton Towers, Eden Project, Roman Baths, Kelvingrove Art Gallery, Edinburgh Castle, Buckingham Palace, and plenty of others. To rent a vehicle with a driver from 8Rental, you need to follow the brief instructions. First, you need to get a quote and complete it. You will be required to state the journey type (single, return, hourly, customized), the start date and time, pickup and destination address, the number of passengers. Afterward, you will need to state the vehicle type, car class, the experienced driver's language. After you fill out your data, your order will proceed. The entire process of booking a car is quite easy! 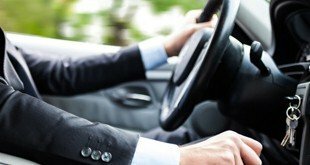 Hiring a chauffeured vehicle in the UK, you can make use of a series of amenities provided for free! Have the car meet you right at the airport, railway or bus station. 8Rental car supplier can send its drivers to all airports operating in the territory of the UK such as Heathrow, Leeds Bradford Airport, Glasgow Airport, and all other airports you may land. This respectable car rental with a driver has prepared a pack of advantages for all its customers. The fuel required for implementing the journey in the UK will be provided for free just as the medical insurance for you and all your travelers in case you hire a minivan or bus with driver. Regarding the pricing system, we are offering some of the most affordable prices in the industry. 8Rental also provides discounts for its constant clients encouraging them for further cooperation. Regardless of the car type you book, you can be entirely sure the vehicle will be up-to-date and perfectly maintained one. All the cars in 8Rental's fleet are in excellent condition. Just make your choice, hire the chauffeur-driven van in the UK beforehand and travel with 8Rental! Depending on the number of passengers you are going to explore the marvelous cities of this European country, 8Rental can make a perfect offer for you! The company has a wide range of diverse vehicles, including standard and business class cars. They are made by such world-known automakers as Audi, Mercedes, BMW, Toyota, Volkswagen, etc. The Mercedes Viano (accommodates up to eight passengers) and the Sprinter (provides up to twenty-four passengers) minibusses. The luxury Mercedes Tourismo (transports up to sixty-five people) coaches equipped with everything necessary to enjoy every minute of driving (amazingly comfortable seats in aircraft style with armrests and seat belts, carpeted floors, curtained windows, air conditioning and air suspension, heating, toilets, minibars, fridges, TVs, premium audio systems, etc. ); as well as luxurious and sophisticated Chrysler C300 and Cadillac Escalade limousines. Our professional chauffeurs are licensed and experienced. They will drive you to any direction of the country safely and accurately. Hire an English, Spanish, Dutch, German, Russian or French-speaking chauffeur to speak your mother tongue. 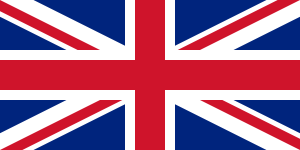 United Kingdom of Great Britain is one of the most developed European countries. Being composed of four little countries (Wales, England, Scotland and Northern Island), the UK serves as a popular destination both for tourists and businesspeople. 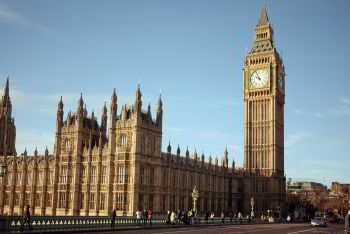 Tourists are attracted by UK's amazing architectural heritage, as well as its fantastic nature. The UK is situated between the North Sea and the Atlantic Ocean. Famous rivers are flowing on the territory of the Kingdom such as the Thames, Tyne, Tees, and Humber. Unfortunately, the Kingdom's weather can't be described as favorable. Most of the time, the country's sky is gray and foggy, while the rain doesn't seem to stop ever. However, in spite of this lousy weather, the sixty-four-million population, as well as continually arriving foreigners find Great Britain a fantastic country. 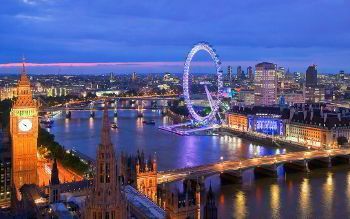 Whether you are to come to London, or any other city, 8Rental offers its services. To explore all the attractions of Britain with your friends, family or business colleagues, rent a vehicle with a driver in Britain. Get inspired by such famous touristic destinations as the British Museum, Tower of London, Westminster Palace, Big Ben, and many others. To make the most of your visit to the country, you can't but hire a chauffeur-driven car in Great Britain. You can rent a car, a minibus, a coach, a limo with a driver in the UK with 8Rental, and visit the marvelous cities in the country! We guarantee safety and comfort on the roads!